Kishra, a native Portlander, has been with the Dan Volkmer Team for 18 years. She specializes in marketing, public relations, customer service and has a passion for historic homes. 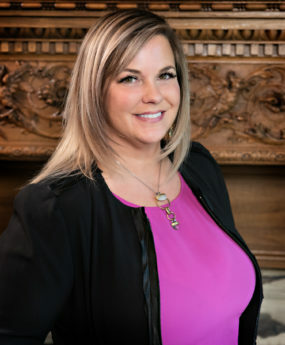 With her artistic background she is responsible for the design and production of the Dan Volkmer Team’s flyers, mailers, cards, photography, web-based marketing, and advertising. By assisting Dan in property research, as well as continually updating clients with market trends, competition and new listings, we’re able to keep our properties competitive in this multi-faceted marketplace. Kishra is also responsible for organizing listings and researching the histories of properties in order to blend a home’s past with current marketing tools.